This house pops up all over the city, as if someone copied the plans and spread them like mustard seed across the City of Los Angeles. As surveyors we were struck by the frequency and repetition of this house across the West Adams/Baldwin Hills/Leimert Park survey area of the Group 1 surveys. We’ve located clusters in Hyde Park, Leimert Park, Palms, and Beverlywood. Almost all were built in the 1930s and early 1940s. They are in many ways some of the perfect houses for Southern California living. Their design references the Spanish-Mexican heritage of the region. The house is L-shaped, with an outdoor living space enclosed by the L that takes advantage of the opportunity to be outdoors in Southern California’s climate. The homes have charming features like weathervanes, decorative tiles, and plaster house numbers framed by hearts or shields. 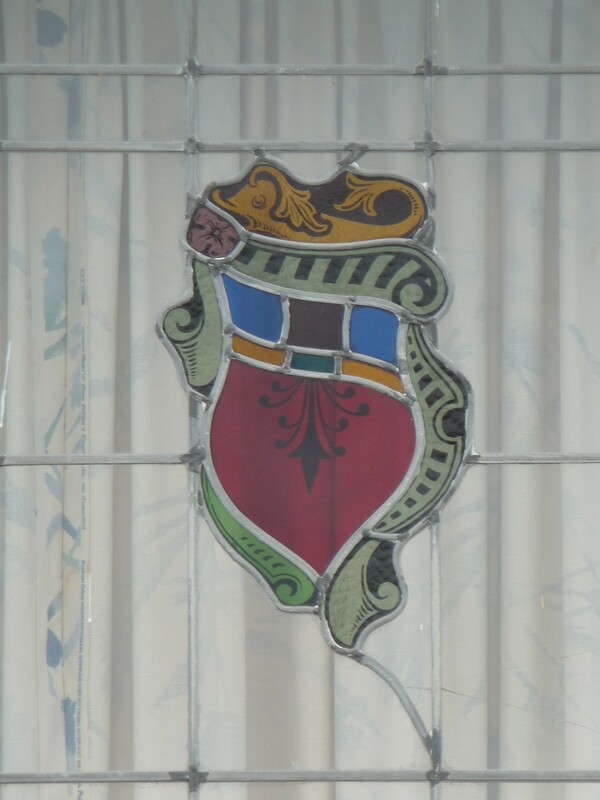 It is particularly special to find house that has its original stained glass windows, as many of the homes in the Crenshaw Knolls development of Hyde Park. 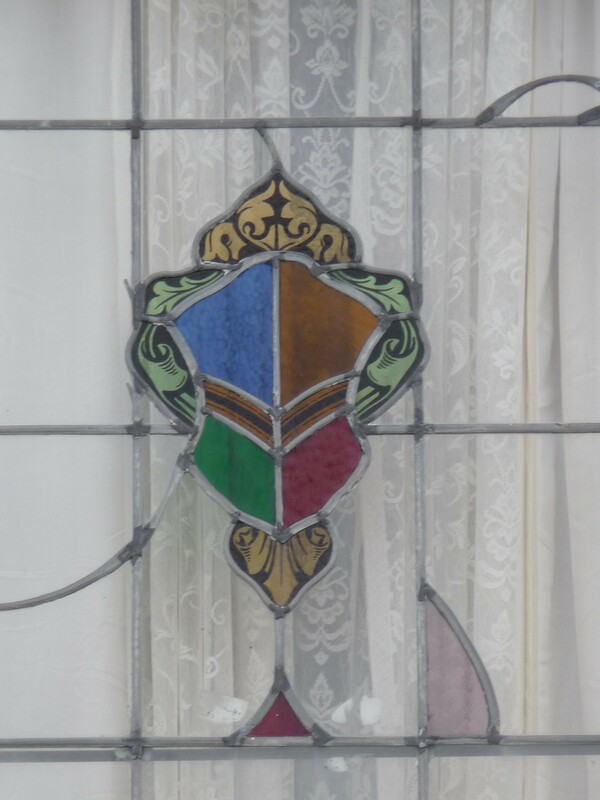 Large, leaded glass front windows had decorative stained glass with colored shield motifs in the center. No two were the same. Many houses do not retain this feature. 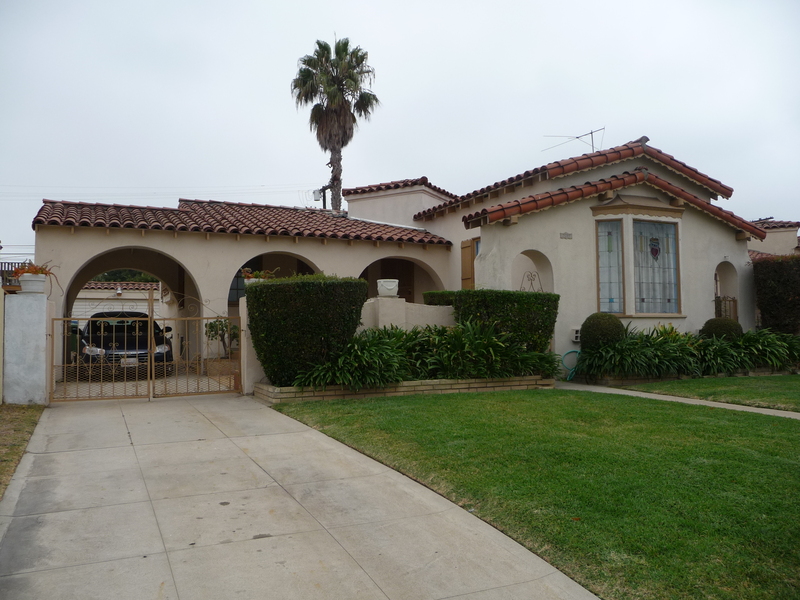 We can’t say for certain who is responsible for the design and construction of these Spanish Colonial Revival bungalows. Based on building permit research conducted by the interns at the Office of Historic Resources and advertisements in the Los Angeles Times, we’ve concluded that many are the work of developer-builders Elwain Steinkamp and William T. Richardson. 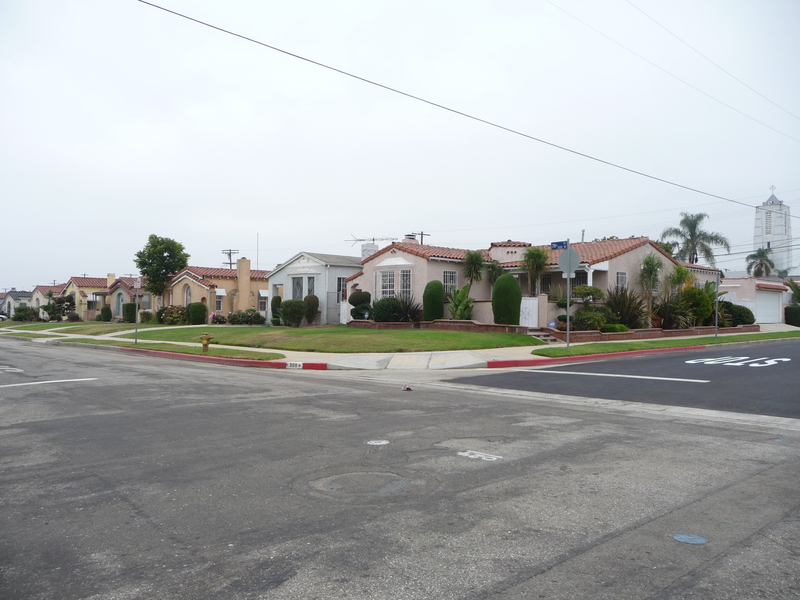 One cluster of these homes in Leimert Park was called Donna Park after Steinkamp’s wife Donna. Steinkamp and Richardson seem to have had a healthy business building middle class homes throughout Los Angeles County from the 1930s to 1950s. Thanks for the information–I live in a Steinkamp over here in Crestview ( Beverlywood Adjacent) and often wondered about who Steinkamp was, and even more about who the craftsmen were who were able to give these houses such individuality. The exteriors have simple differences, but the interiors have lath and plaster details such as archways, ceilings. Another detail is what our real estate agent called cake frosting in plaster on the walls and ceilings. We are in escrow with a Steinkamp home and we more than love it and cannot wait to move in. We never even heard of Steinkamp. But as we get to know it, we will keep our 1932 home original because it deserves it. 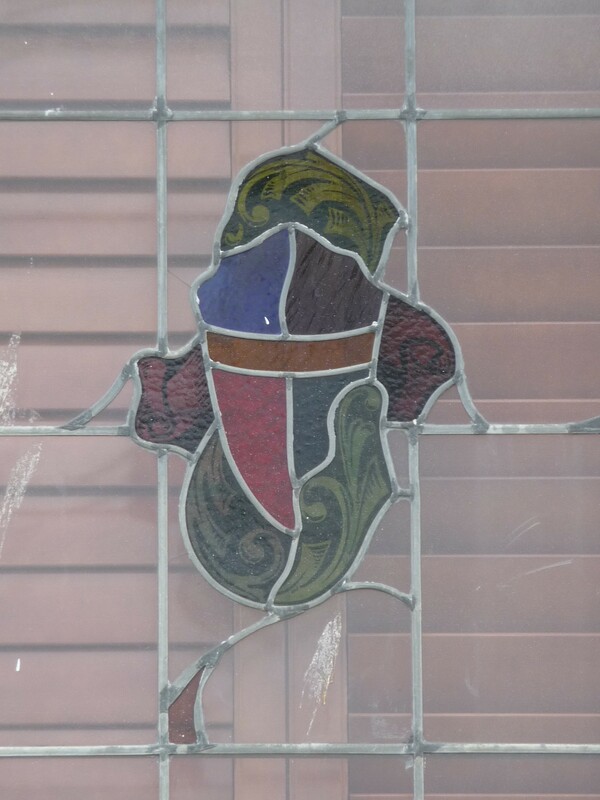 The only problem is the seller changed the front windows and thus “removed” the Steinkamp signature. It is the only thing we are disappointed about. This home will hopefully be in my family forever! My Husband is Steinkamps Grandson. I am a Steinkamp and probably related in some fashion. The Steinkamps are known for innovations. My dad’s uncle was a machinist and designer. He holds (in my possession now) a patent for the gearing of a ten speed bicycle back in about 1902. 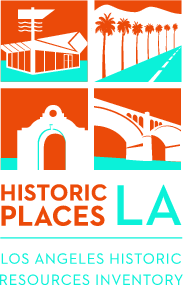 Its always great to learn about the history of our neighborhood, however there was a misprint in this article because Crestview Los Angeles is not affiliated with Hyde Park as that is a completely different area FYI.